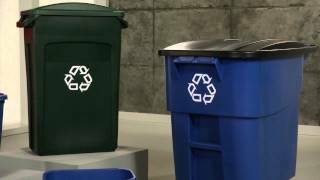 Promote recycling and improve productivity, by converting your Rubbermaid 32 gallon trash can into an outdoor trash receptacle for a commercial or residential environment with Rubbermaid's Brute Trash Can Lid. All-plastic, professional-grade construction will not rust, chip or peel; resists dents. 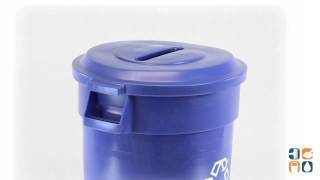 Strong, snap-on lids with restricted opening for recycling. Coming complete with a strong, snap-on lid feature that fits securely on the can, this can lid is perfect for the outdoors.